Apple Ridge Farm offers a variety of unparalleled educational opportunities for youth (ages 6-16) from around the Roanoke and New River valleys. Campers participate in our dynamic curriculum which includes reinforcement in reading, language arts and creative writing; improvement of proficiency in written and oral communication skills; STEAM (science, technology, engineering, arts & math) instruction; computer programming; instruction in physical education; healthy lifestyle choices and character building; and an introduction to college preparation and career focus for middle school and high school students. Our focus on Project-based Learning seamlessly integrates core competencies and academic skills into fun hands-on activities. We prioritize building Socio-emotional health and character-building skills, including practice in Mindfulness, Creative Art, Communication, Critical Thinking and Problem Solving techniques. 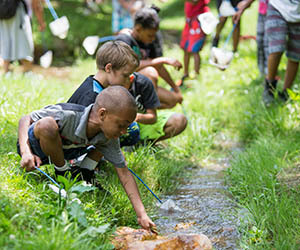 Additionally, campers participate in organic gardening, aquatic and forest studies, and our new EBase USA – Blue Ridge lessons in sustainability program. Campers are provided transportation to and from Apple Ridge Farm, as well as provided breakfast and lunch. Summer camp is free to qualifying families; Sliding-scale is available for non-qualifying families. 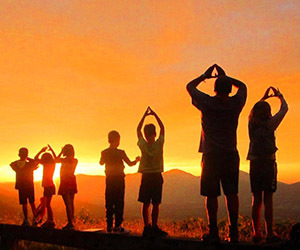 Alta Mons is the outdoor ministry of the Roanoke District of the United Methodist Church and encompasses over 850 beautiful acres Shawsville, VA. Our summer camps offer week, half-week, or day-long experiences for children and youth, K-12. Campers experience small group bonding with their units during arts and crafts, field games, and sessions at the Nature Hut. Events like Staff Hunt and Thursday Skit Night bring the whole camp together to bond and laugh no matter what their age. Each Wednesday all resident campers participate in Home in the Woods, where campers and staff set up campsites, cook their dinner over a fire, and sleep under the stars. Every camper receives a camp t-shirt (included with the cost of registration) that they will tie dye during their time at camp. Camp Easterseals has been serving children and adults with disabilities for over 60 years. Located in Craig County, our campers come from all corners of Virginia along with DC, Maryland, West Virginia, and North Carolina. Campers include people with intellectual or physical disabilities including autism, Down syndrome, cerebral palsy, epilepsy, and many more. Camp provides an accepting and supportive atmosphere for campers to learn and grow as they participate in a plethora of activities such as horseback riding, swimming, climbing, canoeing, crafts, dances, and paintball. All activities are accessible! 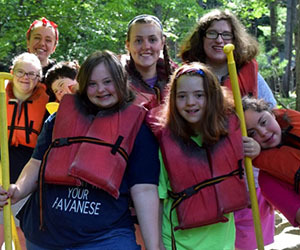 Camp Easterseals is accredited by the American Camp Association which means it demonstrates meeting standards such as completing background checks on all staff. For seven weeks each summer, the Blue Ridge Scout Reservation is home to over 10,000 youth and adults participating in our Base Camps and High Adventure Programs. Our unparalleled programs are delivered by high caliber staff who are committed to delivering the promise of scouting and excellent customer service. 14 different summer camp programs to choose from. 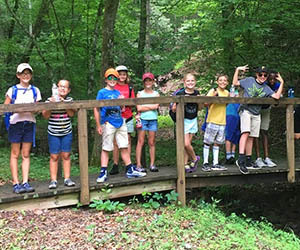 Powhatan and Ottari offer traditional summer camp programs including a plethora of Merit Badge classes and Brownsea Island for first-year campers. The Blue Ridge Scout Reservation is a great place for Scouts and leaders to enjoy the outdoors. The other camps offer provisional high adventure programs for Scouts 13 years-old including long-range backpacking, aquatics, river canoeing, SCUBA, Mountain Man, and outdoor adventures. Building relationships together: with God, with each other, and with the Earth. 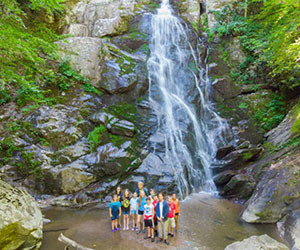 Founded in 1927, Camp Bethel in Fincastle, VA offers resident and day camps, family fun nights, digital arts camps, skateboarding camp, trips, and adventures including backpacking, biking, caving, equestrian, canoeing, kayaking, stand-up paddleboards, river tubing, rock climbing, and whitewater rafting. Campers live in small groups of 10 campers and 4 counselors for 6-day/5-night or 3-day/2-night sessions. Activities include: group games, crafts, music, swimming pool, low-ropes course, slacklining, creek-play, hiking trails, archery, orienteering, geocaching, GaGa Ball & 9-Square, polar bear swims, night programs, climbing wall, high ropes course, flying squirrel, and zip line. All on a rustic-beautiful 470 acre playground. Day Camps and 3-day sessions start at $200, and 6-day sessions and adventures start at $350. Nestled within 700 acres of the beautiful Blue Ridge Mountains, Camp Roanoke is conveniently located just off Interstate 81 exit 132. Since 1925, our campers have enjoyed outdoor adventures such as canoeing, field games, hiking, campfires, outdoor skills, environmental education, and the challenge course complete with a 44-foot climbing tower, zip line and giant swing. Older campers will enjoy off-site excursions like rock climbing, kayaking, surfing, and horseback riding. Our affordable tuition includes lodging, meals, and everything needed for a week of outdoor adventure and fun. Camp Roanoke is accredited by the American Camp Association and offers a full season of residential summer camps for youth that will create memories to last a lifetime. Girls Empowered by Mountain Shepherd (GEMS) is a program for girls and young women facilitated by the female staff at Mountain Shepherd Adventure School. The weeklong overnight GEMS program gives middle school and high-school girls the empowering opportunity to learn the seven survival priorities and practice survival skills while surrounded and supported by their peers. Girls also come to GEMS to learn about themselves, their personalities, how they communicate, and how they lead. The backcountry skills for which Mountain Shepherd is known indeed provide surprising connections to the campers’ lives in the “front-country.” Mountain Shepherd’s Catawba, Virginia location and facility provide an excellent basecamp for GEMS campers to begin or continue their empowerment journeys. Girls just beginning their GEMS experience may sleep in a tent for the first time after a couple nights in the cozy bunk room. Meanwhile, girls who have grown into the advanced courses will pack their backpacks and use the trails on the property to connect to the Appalachian Trail for a new adventure. Whether staying for a week or just using Mountain Shepherd as a launching pad for an excursion, GEMS campers feel welcomed and excited while here. The series of GEMS summer camps challenges girls to expand their comfort zones through various outdoor adventures, and to dig deeper into their understandings of themselves. 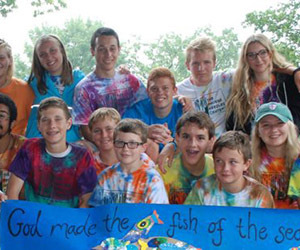 4-H Summer Camp is our residential summer camp program available to youth ages 9-18. Sessions typically last for one week. 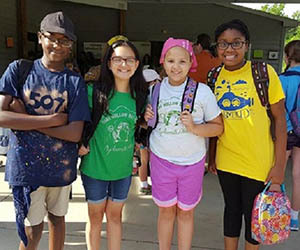 Summer camp at the Skelton 4-H Center provides youth ages 9-18 years old countless opportunities for learning more about themselves, their peers, and the natural world around them. This learning takes place through a wide range of camp activities and programs, all of which are designed to allow youth to “learn by doing” through hands-on participation in these activities and programs. Days are filled with instructional-based camp classes, unstructured recreation and swim time, flag ceremonies, and evening programs to end each day. Build your summer, with over 175 weeks of youth camp programming for ages 3-17. 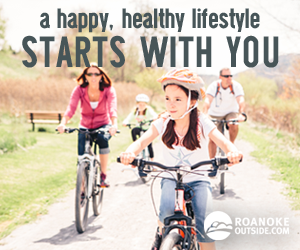 Roanoke County is the region’s largest provider of summer fun for kids. Choose from overnight, full-day, and half-day opportunities at dozens of facilities throughout our area. Whether you’re looking for outdoor adventure, sports, water parks, technology or creative play we’ve got you covered. New this year, check out our schedule builder chart to help plan your schedule. You don’t have to be a resident to sign up. 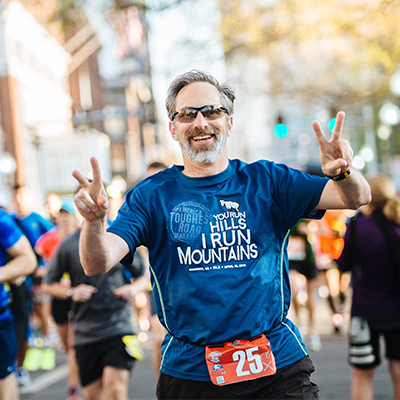 Save up to $25 off each registration when you sign up by April 18. There is no feeling quite like riding through the trees on some of our area singletrack. 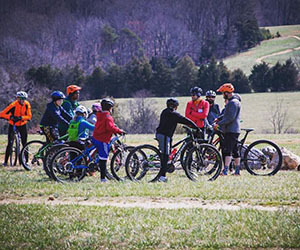 Roanoke has a huge collection of trails for all abilities and has earned the moniker “Mountain Biking Capital of the East.” Join Roanoke Mountain Adventures and one of our IMBA certified instructors for a week of mountain bike adventure and skills building. Your young trail rider will get 5 full days of professional mountain bike instruction and guided trips on some of our areas very best trails. While we explore the mountains surrounding Roanoke we will also work on bike handling skills and basic maintenance. We will cap off our week of single track with a classic Virginia National Forest ride! (Ages 8-10) Get outside this summer with Roanoke Parks and Recreation Outdoor Exploration Camp! 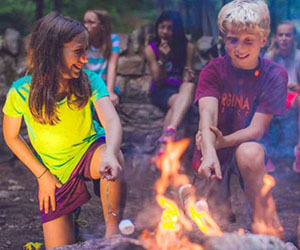 This camp is designed to keep your child engaged outside with nature activities like wilderness survival, GPS capture the flag, nature crafts, and river ecology to outdoor recreation like hiking, caving, water sports (canoeing, kayaking, tubing or Stand Up Paddle Boarding), slackline and indoor rock climbing. 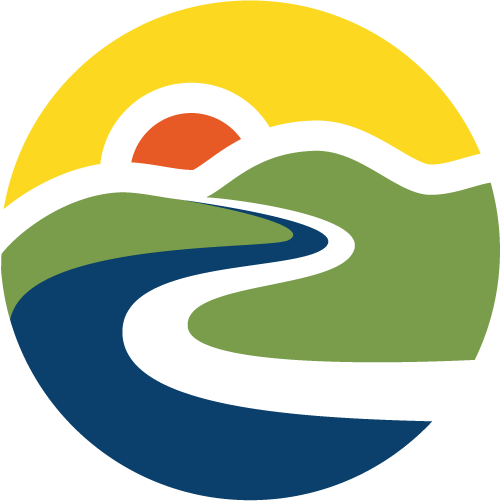 We will meet at Mill Mountain Discovery Center and travel each day to a new adventure. Sing songs, create nature arts & crafts, and play outdoor games. Enjoy books in the story time tent. Bring your nature treasures for show-and-tell. Eat a wholesome snack with your SEEDlings friends. Each day we’ll explore a couple of nature themes like water, sunlight, rocks, bugs, cycles, mammals, birds, reptiles, amphibians, and fish. SEEDS will be offering our 21st year of environmental education Summer Field Camps and nature – based programs for kids ages 3-6, 7-10, and 10–13. Summer Camp at Phoebe Needles is about adventure and fun! We offer week-long residential camp and day camp programs beginning June 9th – July 27th. Activities include, hiking, arts and crafts, games, swimming, worship, and hanging out with old & new friends! 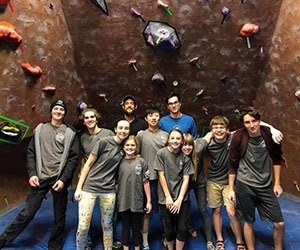 There are many activities that will challenge you in body, mind and spirit – rock climbing and rappelling, the high and low ropes challenge courses, caving, backpacking, and the climbing wall. Make friends, build community, and have a great time at the Phoebe Needles Center this summer! Residential camp for rising 5th-12th graders is $225/week and choose from seven different sessions. Day camp is for rising 1st-4th graders is $90/week and choose from five different sessions. We are fully accredited by the American Camp Association. Need-based scholarships are available upon request. Every kid deserves a week of camp. Founded in 1990 and run by an inspiring staff of outdoor professionals, this program features backpacking, biking, and paddling through national forests while participating in adventure activities. Activities include: backpacking, rock climbing, mountain biking (14+), whitewater kayaking (10+), canoeing, caving, high ropes, outdoor living and survival skills, zip lining and much more! Each activity is instructed from a basic level and catered to the individual. Expedition style programs are fully outfitted, lead by one male and one female leader (usually aged 21-26) and contain a maximum of 12 participants per group. Programs are one to three weeks long. Specialty trips are available focusing on one or a few specific activities. Each day is a great adventure and each night under the stars is the experience of a lifetime.